Diamond has been recognised as a worldwide leader in providing high-precision fibre-optic interconnection solutions to the aerospace industry for over 30 years. Diamond has demonstrated solid achievement in providing technically advanced components and assemblies specifically designed for space applications. The flexibility and reliability of Diamond products allow compatibility with numerous optical interfaces often found in the demanding conditions of the aerospace industry. Diamond’s AVIM, Mini-AVIM, and Diamond Micro Interface (DMI) connectors are best-suited and most-used in typical aerospace applications. 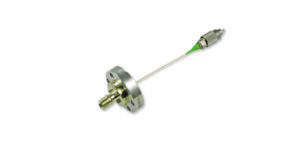 The company also provides the vacuum feedthrough (VFT) for a variety of optical fibre interconnectors and adapters. These products all use Diamond’s active core alignment (ACA) technology, which can be found in the company’s high-performing optical interfaces, including Power Solutions (PS), high-power multi-mode (PSm), polarisation-maintaining (PM), visible / near-infrared (VIS / NIR), as well as DMI hybrid (optical / electrical) insert and custom-optical assemblies. Diamond has designed and built various multi-fibre ferrules that are compatible with different mechanical connector interfaces. The company has an independent accredited test and calibration laboratory that offers services such as fibre-optic instrument alignment, measurement, and testing of fibre-optic components. Diamond’s ISO Class 7 Cleanroom (Class 10,000 / Federal Standard 209E) allows products to be cleaned and packaged in a controlled environment. Diamond applies unique manufacturing techniques to provide advanced interconnection solutions for the most demanding applications. The company’s high-performance connectors are produced with cutting-edge fibre-optic component manufacturing processes using high-quality materials. The company’s patented two-part ferrule and active core alignment (ACA) technology minimises insertion loss values through the reduction of fibre-to-fibre eccentricity. During this procedure, the end face is deformed after the fibre has been polymerised in-place, which then works to centre the fibre’s core with the mechanical axis of the ferrule. Advantages of the procedure include ultra-low insertion loss (IL) for small core diameters and high-return loss (RL). It can also be applied to PM fibres, outperforming the IL performance of any other technology. The telecommunications business has promulgated standardised measurement processes and performance classes for products operating in the near infrared (NIR) spectrum, specifically at the 1310nm and 1530-1625nm wavelengths. Because it has shown to offer several benefits over free-space optics, fibre technology can now be applied to many other areas, mostly in sensing systems in the industrial, security, navy, space, biological, chemical analysis, and R&D fields. Diamond manufacturers VIS/NIR optical interconnections for low wavelengths and small core fibers on most connector types. Thanks to Diamond Active Core Alignment (ACA) process, we can offer exceptional low IL performances. Diamond manufacturers a wide range of optical connectivity for polarisation-maintaining (PM) and polarising (PZ) fibres to meet the most challenging optical performance requirements. Using active core alignment (ACA) technology, Diamond is able to individually enhance both insertion loss (IL) and extinction ratio (ER), removing the requirement to compromise one performance feature over another. and active optical devices, as well as pigtails and patch-cord assemblies. Diamond’s PS interfaces are contact solutions for SM fibres that allow supporting higher optical powers at the connectors’ mating surface. Compared to standard SM fibres, the mode size is expanded 4-5 times and collimated by splicing an endcap consisting of a GRIN fibre section. This effectively reduces the power density at the connector’s surface, which decreases the risk of catastrophic damages or, alternatively, improves the connector’s resilience towards dust. This technology can be applied to standard SM fibres as well as polarisation-maintaining or polarising fibres. 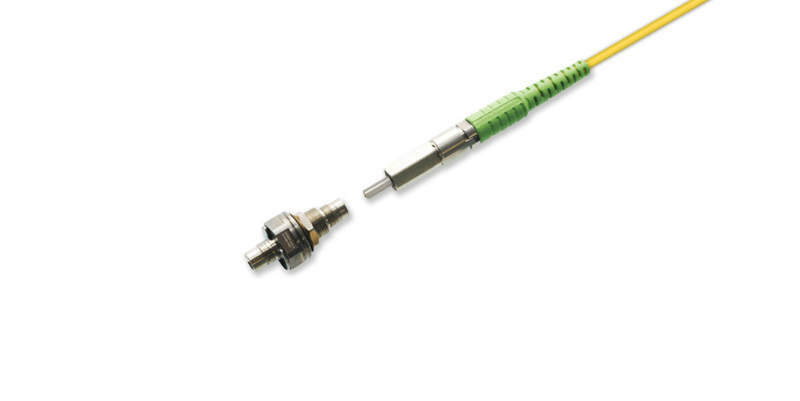 Once the endcapped fibre is encapsulated, the ferrule can be assembled into most connectors’ bodies, although E-2000™, F-3000™, Mini-AVIM, and DMI remain the preferred choice. Thanks to active core alignment techniques, low insertion losses combined with high return loss values are supplied at power levels of up to 6W for qualified fibres. For polarisation-sensitive applications, active polarisation orientation provides the best axes alignment. Driven by the laser industry’s need for modularity and flexibility, for optical powers in the range of 10W and higher, Diamond has developed a contact PSm interface that provides a pluggable alternative to permanent fibre splicing. In the absence of recognised standards, especially for large-core MM fibers connectors, Diamond manufactures optical interfaces with superior quality both in terms of axial alignment as well as in terms of the fibre’s surface polishing. Every single connector is checked thoroughly in order to provide the best optical performance and the highest possible reliability. Besides the fiber connectors, a major role is played by the mating adapter. Diamond’s versions have been redesigned to support heavier thermal loads while maintaining the required robustness and ease of use. 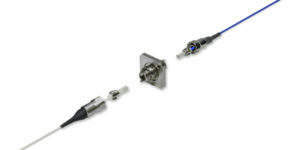 PSm interfaces are available in the E-2000™ and DMI form for MM fibers with typical core sizes of 100 and 200μm. The sustained optical powers are of the order of hundreds of Watts depending on the specifics of the fibre and the connector configuration. 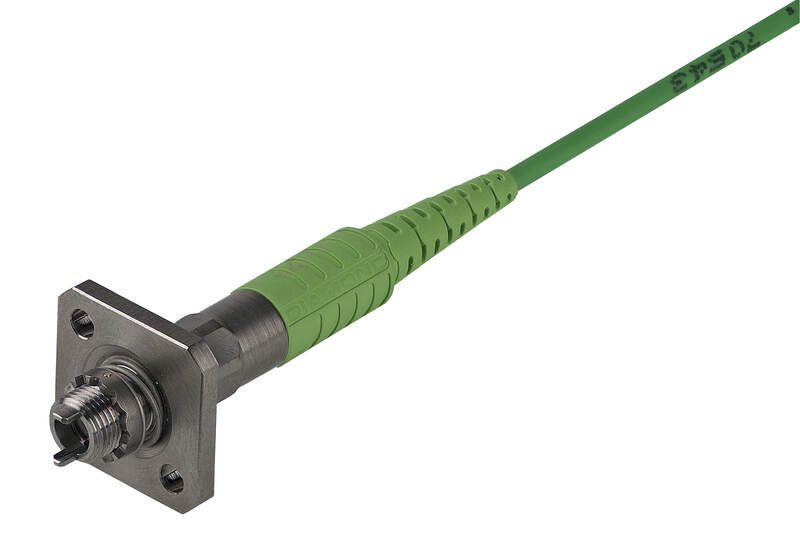 Although optical connectors should never be disconnected in the presence of high powers, the E-2000™ connector can be supplied with additional interlock features that can be exploited to increase safety. 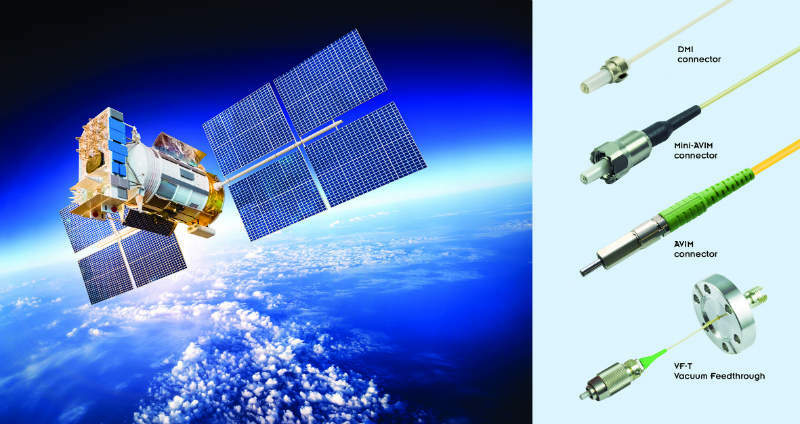 Optical fibre connectors have been used for the past fifteen years in space application. Reviewing the heritage from past and current missions, the status of ESCC standards for these components and assemblies will help future use of fibre in space applications. 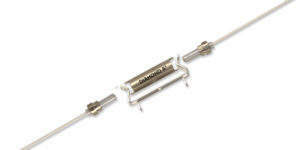 Diamond’s Mini-AVIM connector has been produced after the market request of a smaller and lighter version of our acclaimed AVIM connector for harsh environments, especially space applications. Using epoxy-sealing technology, Diamond presents its vacuum feedthrough V-FT solutions for a wide range of optical fibre and adapters. AVIM are versatile, commercial off-the-shelf fibre-optic connectors, delivering high optical performance. Following our previous article about optical fibre connectors for space at the previous ICSO2012 conference, we present here optical connector will be qualified using the ESCC system and report on the final qualification of the AVIM and Mini-AVIM. After 25 years, the Diamond AVIM connector is joining forces with new AVIM products to become the AVIM Family, which will be released officially later this month.